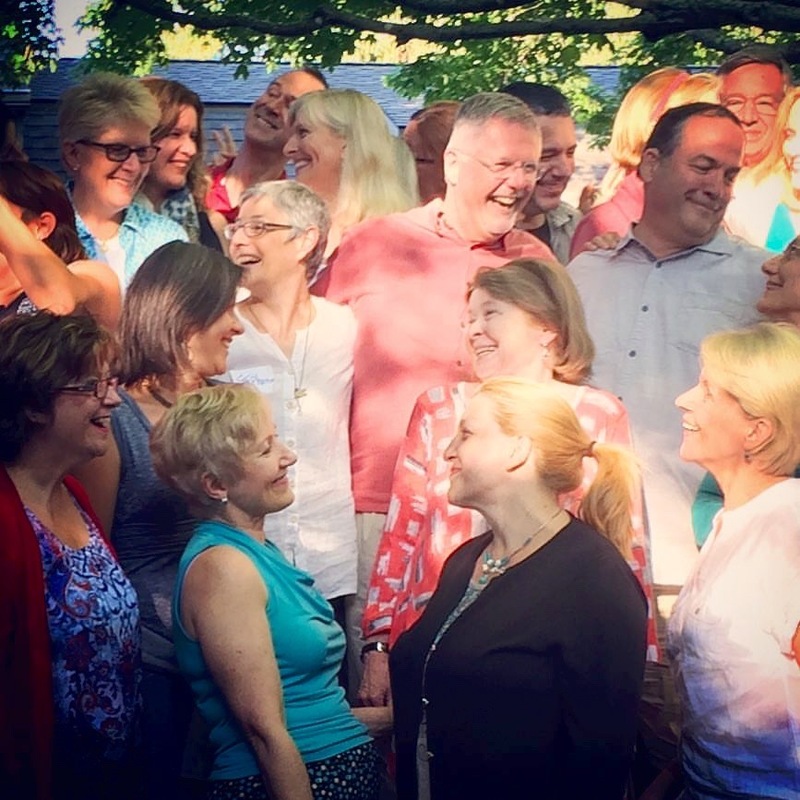 It’s incredible what can happen when every person in a group is open, receptive, and ready for an extraordinary experience of deep connection, learning, discovery, and action. The stage is then set for rich conversations, deep awareness, powerful community building, abundant creativity, and inspired collaborations for projects going forward. In just a few words, that’s what happened June 16 – 18 at the 2016 Transformational Presence Global Summit in Chester, Connecticut, USA. 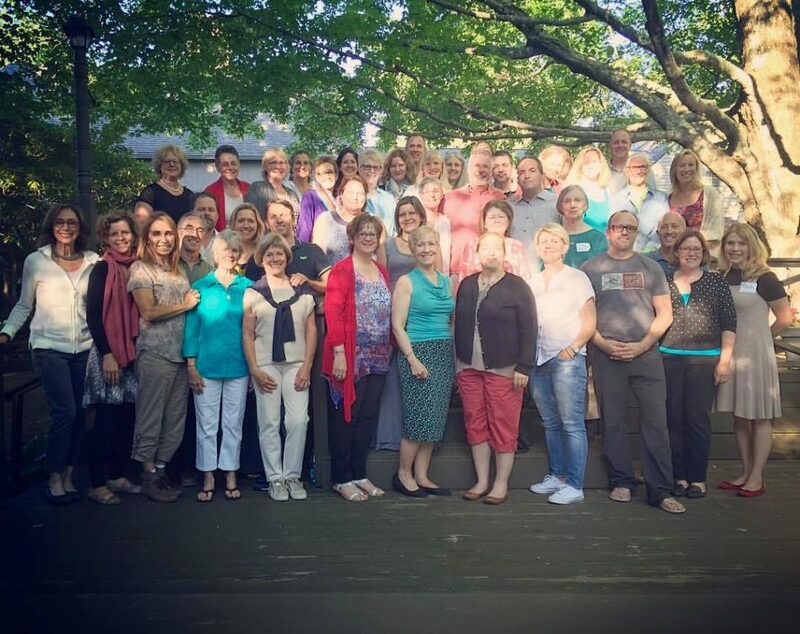 Forty-four graduates of the Transformational Presence Leadership and Coach Training program gathered from nine countries – Canada, Costa Rica, France, Great Britain, The Netherlands, Poland, Romania, Spain, and the United States. Among us were leaders, coaches, teachers, healers, counselors, therapists, visionaries, connectors, trailblazers, and wisdom keepers – all with a commitment to making a difference in the world. An amazing experience . . . Thank you to all the incredible Transformational Presence Coaches that shared their talents, gifts, resources and stunning beauty! A memorable 3 days making connections around the world. My heart is full! Grateful for 3 inspiring days and this amazing community of coaches who are doing great work in the world. I don’t think my smile has faded since last week’s Transformational Presence Global Summit. Such wonderful energy and inspiration! The theme of this year’s Summit was Bridging Inspiration and Action. Our focus was on moving from presence into action – bringing inspired ideas into form. The infinity symbol or lemniscate became a metaphor for our work. We started at the center point of inspiration and presence. From there, we moved out to explore action. Then we returned to the center for grounding and integration before moving out again to explore the next path of action. In this way, Bridging Inspiration and Action is an ongoing process. After a powerful and engaging opening ceremony led by Summit co-leaders Jo Boniszewski (Netherlands) and Jonathan Anderson (USA). I had the privilege of leading Masterclass sessions for the rest of the first day. 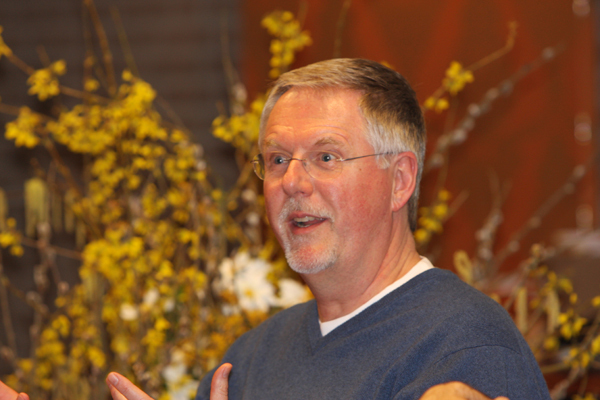 We began with an overview of some of the new concepts and approaches that are evolving within the Transformational Presence work. We talked about the important role that Transformational Presence can play in the emerging global conscious leadership movement. And I spoke of what I have been calling “The Great Breaking Open” that is happening all over the world at every level of society and the opportunities for transformation that are available to us right now precisely because of that “breaking open.” We are living in challenging times, yet these times are also full of messages and potential ready to burst open. We continued the afternoon by walking the 7-circuit labyrinth nestled in the woods on the retreat center property. After introducing the labyrinth as an ancient tool for awareness, insight, and discovery, participants walked the labyrinth to set their personal intentions for the Summit days – what they hoped for from the experience. From the labyrinth walk, we moved into partner coaching to support each participant in clarifying his or her personal intention. That evening, I introduced a new Transformational Presence leadership and coaching tool called “Tough Decisions.” It’s a tool for navigating situations and circumstances in which there may be conflicting values and desires, or where there appear to be opposing actions or directions, both of which seem to want to happen. Many participants experienced significant shifts in awareness and found a way forward through their own complex situations. Jo and Jonathan masterfully shepherded us through our program, including beautifully focused opening and closing sessions each day. John van Drie’s (USA) early morning yoga class also got our days off to a great start. Though this was an optional session, our meeting room floor was covered with wall-to-wall yoga mats and bodies! Adding to the Summit experience were “globe” beach balls and squeeze balls that magically began appearing during the opening ceremony. 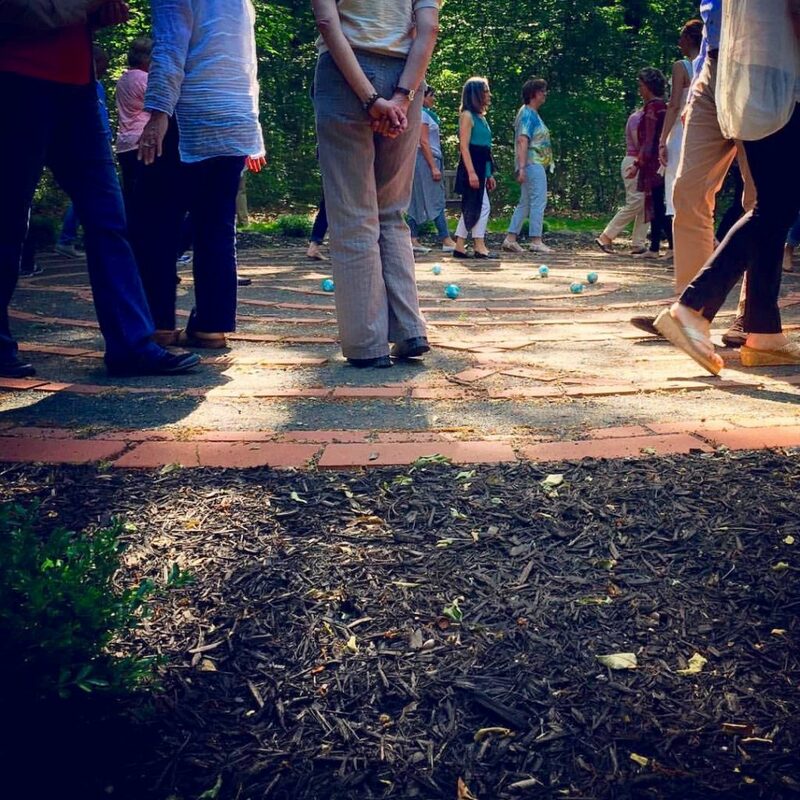 Throughout the Summit, these balls kept showing up in surprising places on the Guest House grounds, inspiring play and becoming spontaneous props during sessions. They were great reminders that we are a global community and seek to live, work, and create as global citizens. Thanks to Peggy MacArthur (USA) and Mary Riley (USA) for this brilliant contribution! Day 2 was filled with short, streamlined Discovery Sessions led by Summit participants. All were related to or inspired by the Transformational Presence approach. Cindy Aldridge (USA), Peggy MacArthur (USA), and Michael Schroeder (Romania) collaborated to bring us two incredibly fun and illuminating sessions on self-awareness and perception. Jayne Garrett (USA) gave an informative TED-like presentation titled “Infinity and Below: Coaching the Undercurrent of Conflict in Corporations.” Deb Brown (USA) and Jo Boniszewski (Netherlands) collaborated to wrap up the morning with a laser self-coaching session on navigating the “speed bumps” in long-term personal and professional relationships. After lunch, Mary Riley (USA) offered an insightful journaling exercise using finger labyrinths and quotes as writing prompts. Jonathan Anderson (USA) brought us an introduction to Design Thinking as a bridge to Transformational Presence in business settings. Connie Milligan (USA) and Rebecca Johns (USA) both offered sessions on working with polarities with both individuals and in the workplace. 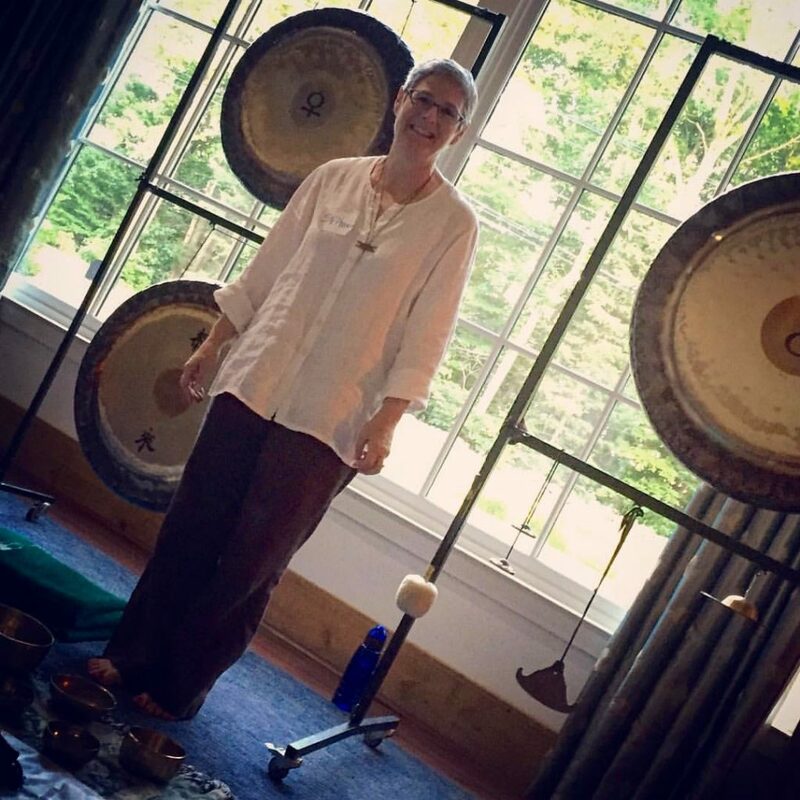 After dinner, Stephanie Marisca (USA) treated us to a “Gong Bath” – a fantastic sound meditation experience. For an hour, we were surrounded by sound from several large gongs, bells of all sizes, rattles, crystal and Tibetan bowls, as well as Stephanie’s voice. The evening was capped with wine and chocolates. Our last morning began with an incredibly inspiring and enlightening session led by Kathrin O’Sullivan (USA) on new leadership approaches in a rapidly changing and complex world. The rest of Day 3 was spent capturing the themes that had been emerging throughout the Summit and exploring what those emerging themes were asking for from us, both personally and as a Transformational Presence community, and making commitments for next steps. Indeed, we bridged inspiration and action. This was the fourth Transformational Presence Global Summit and the first to be held in North America. Each Summit has built on the ones before and has taken our community forward. We have not found a model anywhere else in the world for what we are creating through the Summits and how we are engaging as the Transformational Presence community. As both our work as well as our engagement with each other and in the world constantly evolves, we continue to ask, “What wants to happen?” We listen and sense who it is that we are being asked to be and what we are being asked to do, and then we respond. Through this fourth Summit, it became clear that Transformational Presence is indeed finding its place in the world and is making a significant impact. We are discovering a new model of living, leading, coaching, and working together that can help us create a world that works. What is unfolding is a gift for us all.